The 2019 Sugarcreek Township Farmers' Market is gearing up for a great season! The summer market begins on May 17, 2019 and runs through the end of October. The winter market runs from November until April. 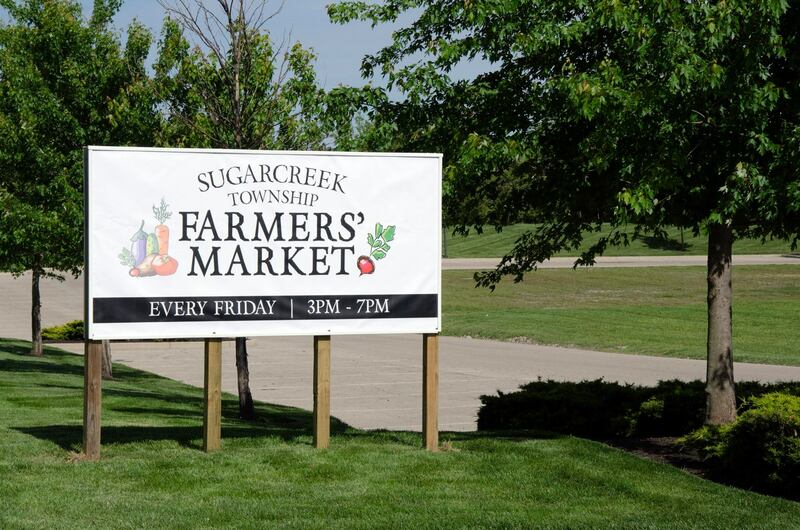 Just in time for your weekend, every Friday from Mid-May until the end of October between 3pm and 7pm, Sugarcreek Township Farmers’ Market hosts the best vendors in the region offering local produce, fresh baked goods, colorful flowers, savory sauces, grill-ready meats, and more! Embrace the seasons and let the vendors at the Sugarcreek Township Farmers’ Market inspire your meals! Freshly baked breads and local meats are perfect compliments to seasonal fruits and vegetables, while the warmth and comfort of delicious desserts is just the right way to end a meal shared with family and friends. The Sugarcreek Township Farmers’ Market runs during Mother’s Day, Memorial Day, Father’s Day, Independence Day, and Labor Day. So be sure to stop by and get everything you need to wow your guests and make your party a hit! Join us every Friday and don’t forget to come out for our annual Free Market Bag Day and bring the kids for Touch-a-Truck Day! We’ll see you there! LIKE US ON FACEBOOK AND FOLLOW US ON INSTAGRAM FOR THE LATEST ON SPECIAL EVENTS! National Trail Family Farm (natural meat, farm fresh eggs, baked goods, maple syrup. Submit an application or contact Courtney Shuttleworth at 937-848-8426 or via e-mail for more information.